Road Race Held on October 20th Was a Resounding Success! WE thank all the participants, sponsors, the Rotaract club of GSU's Armstrong campus, the Rotarian volunteers, Mike Nadeau-owner of FleetFeet, and our sponsors. The event was even more interesting with a number of our participants running in costume. 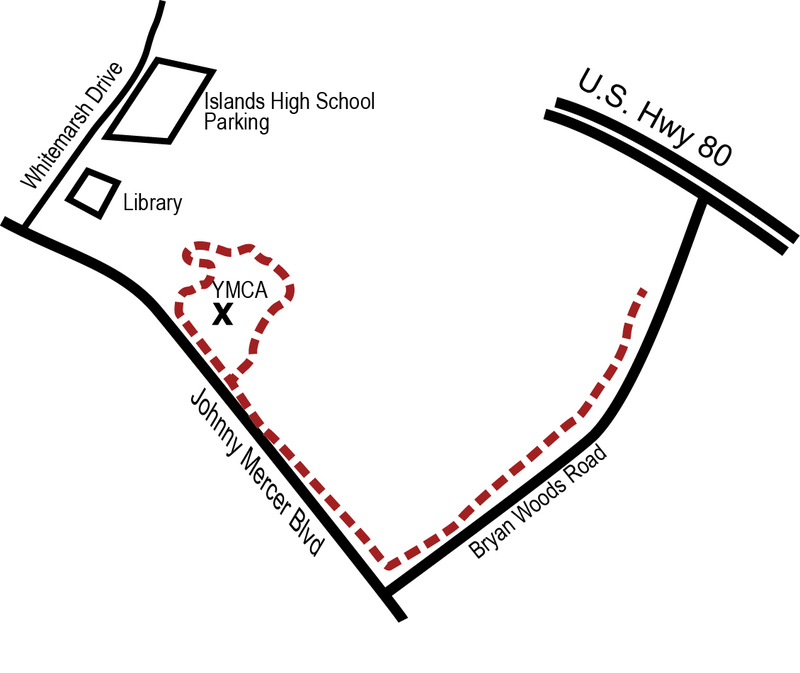 DIRECTIONS from Savannah to the Y: Take Victory Drive (U.S. HWY 80 East) toward Tybee Island. After crossing the causeway, turn right on Johnny Mercer Blvd. Go 1 mi. Y is on the left. We could not do the good works of Rotary without the support of our sponsors for this event. It isn't too early to start thinking ahead. If you would like to become a sponsor for the 2019 event, CLICK HERE.